AP ImagesTraders are up in arms over the lack of reward companies are getting for beating sales and profit forecasts. 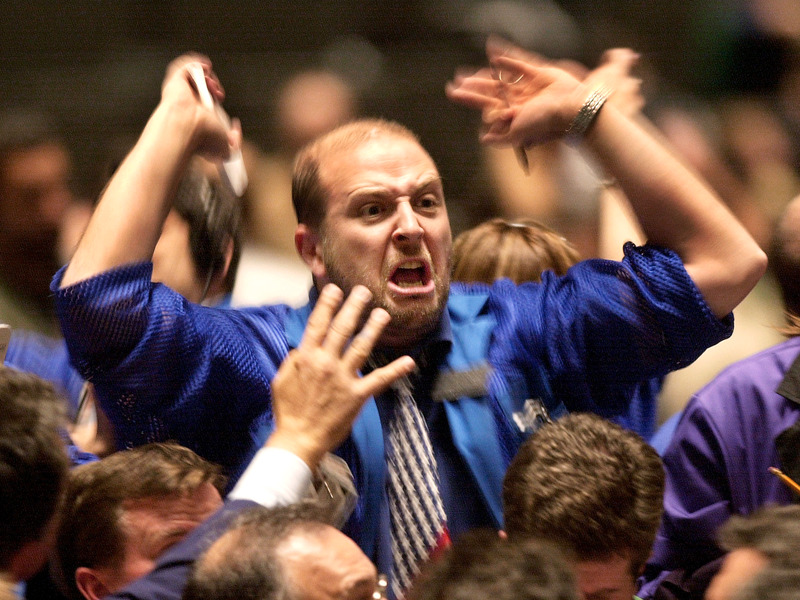 US companies are absolutely on fire this earnings season. Even amid lofty expectations, they’re beating analyst forecasts for both sales and profit to a degree not seen in 13 years. This surely means their stocks are surging, right? After all, aren’t corporate earnings the number one driver of share appreciation? Well, it’s not working out that way. Companies beating on both revenue and earnings have performed completely in line with the S&P 500 over the one- and five-day periods following their report. Normally an earnings report like that would have them beating the market. It’s the first time since 2000 that these companies have seen absolutely no reward for exceeding expectations, according to data compiled by Bank of America Merrill Lynch. Bank of America Merrill LynchCompanies beating on both the top and bottom line are not feeling the love from stock investors this earnings season. But that’s not to say the picture for stocks is particularly murky right now. 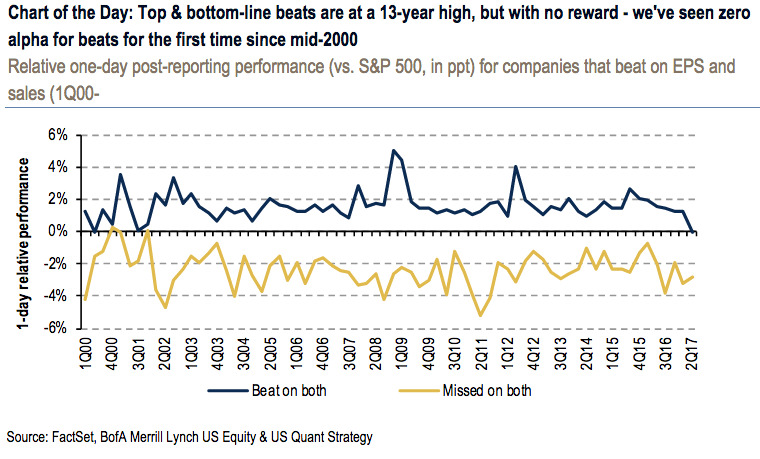 As BAML mentions, it’s possible that these earnings beats were already being priced in. 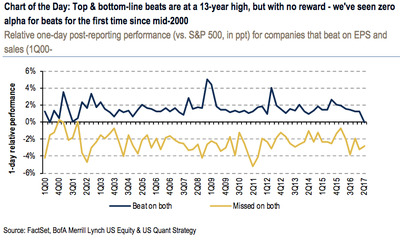 As long as companies do their part and turn in solid reports, then the market should hold up. And there’s certainly plenty going for the stock market right now, most notably a weaker-than-expected US dollar that’s boosting exports for the large multi-national companies that wield so much influence over the broader market.